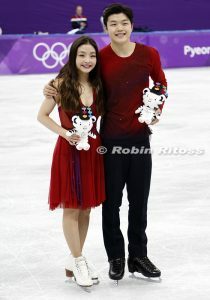 CHICAGO, IL–Maia and Alex Shibutani haven’t been home to Michigan in almost a month. They’re spending the weekends performing on the 22-city U.S. Stars on Ice (SOI) tour, and during the week they’re traveling from coast to coast for off-ice projects, attending Oscar parties in LA, media appearances in New York City, and meetings at YouTube headquarters in San Francisco. 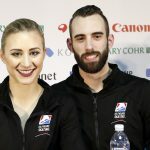 It’s safe to say they haven’t had much time to relax since claiming an individual and team bronze medal at the 2018 Olympics in South Korea in February, but the ice dancers are savoring every moment. 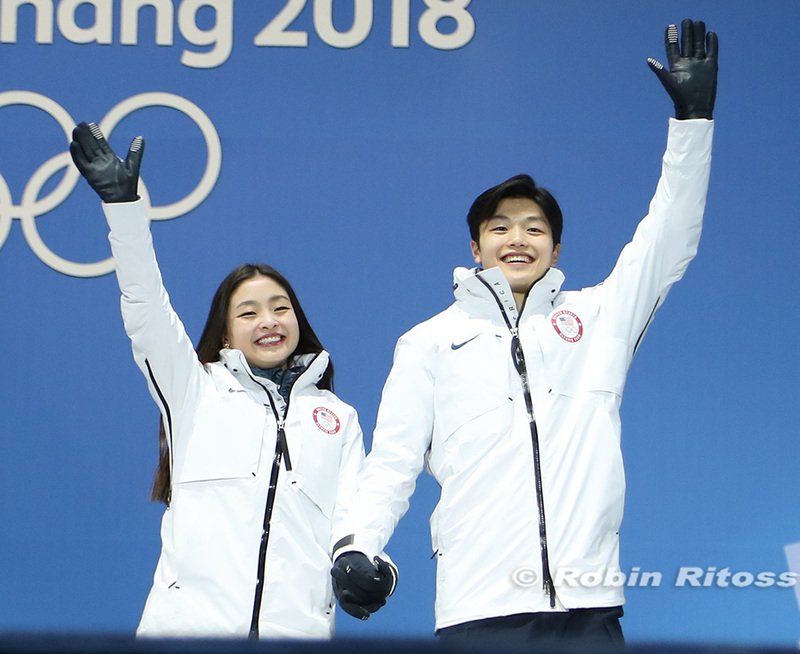 The Shibutanis announced in April that they will take the 2018-2019 season off from competition, but that doesn’t mean they have any plans to slow down. After Stars on Ice wraps up at the end of May, they are scheduled to perform in shows in June in Japan as well as star in the July 4th ice show in Sun Valley, Idaho. In April, the duo signed with Hollywood talent agency UTA, and though they said it was too early to talk specifically about their off-ice plans for the coming year, they said they are excited about what is in store. With a following of more than 150,000 fans on their YouTube channel and nearly 200,000 on their joint Instagram account, it is a safe bet that some of those new projects will showcase their video and social media skills. They will be making an appearance for the first time as featured creators, June 20-23, at YouTube’s VidCon, an annual conference for the online video community. Until then, they’ll be on the road with Stars on Ice. Both Maia and Alex said the crowd and fan response on this year’s tour has been gratifying. “It’s been really special that we’ve had the opportunity to tour with Stars on Ice. The amount of enthusiasm that we, and the entire cast, have received, there is just so much excitement. I think that the Winter Olympics this year really resonated, so to have that celebration continue, even though we are over two months removed, is amazing,” Maia said. The duo were also finalists for the James E. Sullivan Award, which the Amateur Athletic Union presents annually to the nation’s best amateur athlete, in recognition of their impact both on and off the ice. Both Shibutanis spoke about using the platform that the Olympic attention has given them to give back to causes they care about. They were at the Figure Skating in Harlem annual gala in May, and have supported Right to Play, a nonprofit organization that uses play and sports to empower youth, for four years. “Sports have given us so much in our development as people and so being able to celebrate the value of sports and what they bring to the next generation is something that Maia and I have already begun to focus on, with our work with the State Department and our Sports Envoy visit to Seoul last year and then the work that we did with the Thank You Pyeongchang program leading up to the Games,” Alex said. Keep up with the ShibSibs’ adventures during their year off from competition on their official social media channels: @ShibSibs on Instagram and Twitter, and their YouTube channel.